French celebrity hairdresser Alexandre de Paris, regarded as one of the founders of "haute coiffure", has died. He was 85. The death was announced by relatives, who gave no details. Nicknamed "the prince of coiffure", he worked for leading designers before opening his own salon, winning top fashion awards in the 1960s. 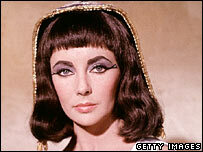 Alexandre de Paris styled Elizabeth Taylor's hair for the 1963 Hollywood blockbuster Cleopatra. Other clients included Greta Garbo and Lauren Bacall. Born Louis Alexandre Raimon, he began as an apprentice in a salon in Cannes at the age of 16 in 1938. By the late 1940s he was hairdresser to the international jet set, and opened his Paris salon in 1957. In later years he had retired to his native southern France.